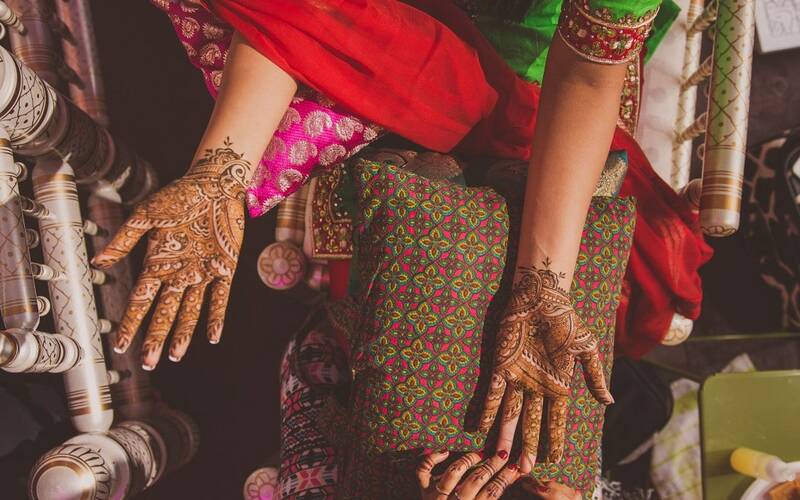 Henna (aka mehndi) is used to adorn a bride in many cultures across the world. Typically thought of as an Indian tradition, it can also be seen used in bridal ceremonies in Pakistan, Bangladesh, and in the Horn of Africa. Traditionally, it is prepared as a paste from the henna plant. It is a natural product prepared by mixing crushed henna leaves (or powder prepared from the leaves) with a liquid such as water and/or lemon juice. Additional elements such as essential oils may be added to enhance the reddish brown colour of the stain on our skin. 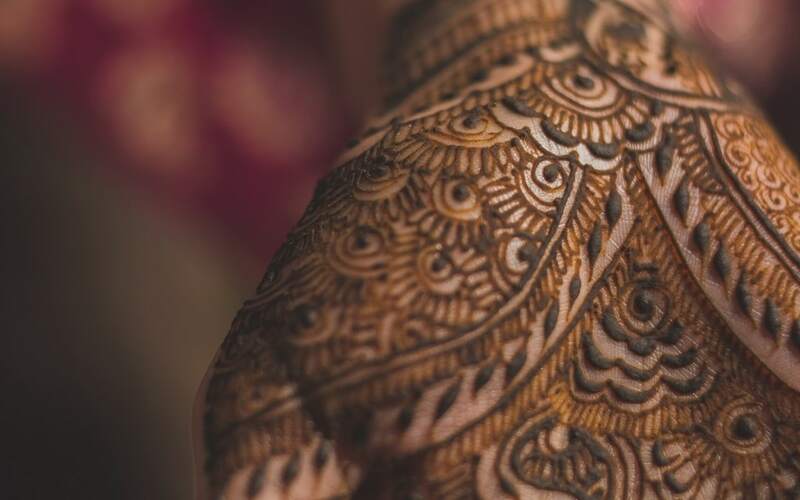 Check out the following tips from Shaista Jalal, a Montreal-based Henna Artist, on getting the perfect mehndi for your wedding day! First thing’s first: be safe! As mentioned, henna used to be an all-natural product. However, over the years there became a demand for richer colour and different colours. Chemicals were added to change the colour from reddish-brown to black. One such chemical is PPD (paraphenylenediamine). This chemical is not approved for use on our skin and is especially unsafe for pregnant women and young children. It can cause severe allergic reactions in the skin. Make sure to talk to your henna artist about the paste and how it is made. In addition, get a sample on your skin to test your reaction to it, and to test how the colour comes out. All natural is the way to go! Always set aside 24-48 hours for your henna prior to your wedding day. Doing it the night before will not allow enough time for the colour to darken; similar, the colour may fade if it is done too soon. Avoid all activities that will prevent the colour from darkening. If you are having a maiyyan or haldi ceremony, do this prior to your mehndi. The same reasoning can be applied to your waxing and mani-pedis. Always give yourself a free day for your henna. By this, we mean it’s best to do the ceremony when there are no guests or other activities happening which can disrupt the process. The morning and/or in natural light is the best time to apply the mehndi. After the mehndi is applied, make sure the paste is completely dried before applying a paste of lemon and sugar. This sticky mixture will keep the henna paste bound to your skin which will make it stain better. Then, wrap your hands and feet. We’ve seen some creativity in this regard with arms, hands and feet being wrapped in tissue paper and socks amongst other things. The heat from the wrapping will help the colour to darken on your skin. Do not use plastic bags! Plastic bags will cause sweating which is not suitable for getting a strong colour. Finally, when the wrapping comes off and the crusted paste is removed, be sure to apply a warming agent to your skin. Using oils or even vapor rubs causes the colour to intensify further. Don’t worry if the colour is still light at this point! It takes time for the henna to darken. Give your hands a break and do not hesitate to ask your family and friends to help you with tasks so that your hands don’t get wet and the henna doesn’t get damaged. For more information about Shaista and her henna designs, check out her Facebook page.